Mary-Jo Foley reports from Nokia World 2011 that Microsoft and Nokia has partnered to get 25,000 Windows Phone 7 devices into the hands of mobile developers. Looks like they will be doing the giveaway at about 1,000 local events between now and June 2012. So if you are developer who is planning to – or wants to – develop Windows Phone 7 apps, make sure to keep an eye out for events near you and you may be able to get your hands on one of these phones. Are you really giving free ? then please send me one. I wish I had 25,000 phones to give out. I’d give them to our customers. No, it’s not us who is giving out the phones. The giveaway was announced by Nokia and Microsoft and will apparently happen throughout the first half of 2012 at 1000 or so local events. 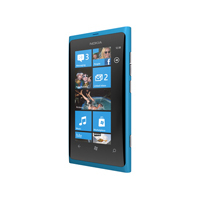 Wishing to get one free Nokia Lumia 800 to start my Windows Phone programming!